We hope to see continuing news reports on what consumer activist Ralph Nader called “a modern day Pinto for soccer moms.” He was referring, of course, to the notorious Ford Pinto exploding gas tanks. In October of 2009, the Center for Auto Safety (CAS) petitioned the National Highway Traffic Safety Administration (NHTSA) to initiate a defect investigation into and recall of all 1993 – 2004 Jeep Grand Cherokees, designed with the fuel tank located behind the rear axle. 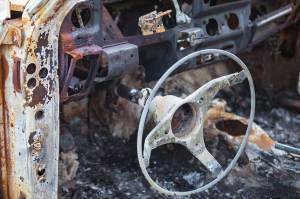 They cited research showing that between 1992 and 2008, there were car accidents that included 172 fatal fire crashes, causing 254 fatalities, in these vehicles. Did Santa leave a moped at your house this year? These motor bikes have become increasingly popular forms of transportation for adults as gas prices have soared. Kids love ‘em because, under South Carolina law, they can enjoy the freedom of the road at only 14 years of age. And DUI offenders are grateful to be able to operate a vehicle which doesn’t require a driver’s license, insurance or payment of property taxes or fees. Some or all of this could change in South Carolina if legislators are successful in amending moped laws this year. The first regular session of the 121st South Carolina General Assembly will convene on Tuesday, January 13, 2015. Over the last two weeks, hundreds of bills have been pre-filed in the House and Senate, several of which seek to strengthen the regulation of mopeds. When Martha Stewart says, “It’s a good thing,” she certainly can’t be talking about South Carolina’s No. 1 ranking in the latest report from Car Insurance Comparison. The scoreboard, released earlier this month, shows South Carolina tied with Montana in the contest for which state has the worst drivers, based on statistics from the National Highway Traffic Safety Administration (NHTSA). “If you’re living in one of these states, you might want to be extra careful when you’re out on the road,” they said. That’s exactly what Louthian Law has been urging since 1959 when we began helping people injured in South Carolina car and truck accidents and pedestrians and bicyclists harmed by careless drivers. “The buzz” is achieved by drinking alcohol to a BAC level of 0.01 to 0.07 percent, less than the 0.08 BAC of drunk driving. And “what’s a-happening” is that lots of folks are going to be doing it between now and New Year’s Day and getting behind the wheel. They’re going to think – mistakenly – that because they are only buzzed, rather than drunk, they’re unlikely to cause an accident. Researchers at the University of California, San Diego, however, have found that even “minimally buzzed” drivers are more often to blame for fatal car crashes than sober drivers. 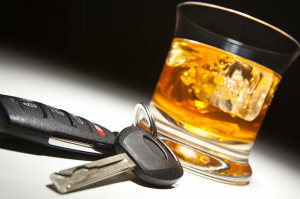 After analyzing statistics from the nationwide Fatality Analysis Reporting System (FARS), they concluded: “There appears to be no safe combination of drinking and driving . . . .” There is no sudden transition from sober (blameless) to drunk (dangerous). Rather, the progression is even and linear from a BAC of 0.01 to BAC 0.24. Even a small amount of alcohol can cause a fatal crash. On Sunday, November 16, the Medical University of South Carolina in Charleston hosted an observance of A Day of Remembrance for victims of traffic accidents. In 2012, 863 people lost their lives on South Carolina highways, according to the Insurance Institute for Highway Safety: 38% were occupants of passenger cars; 27% were in pickup trucks or SUVs; 1% were in large trucks; 13% were motorcyclists; 14% were pedestrians; and 2% were on bicycles. But the MUSC day of remembrance was not just a local event. The third Sunday of November each year is the World Day of Remembrance for Road Traffic Victims. Starting with a 1995 advocacy movement under the umbrella of the European Federation of Road Traffic Victims, the initiative has increased to include countries on every continent around the world. Promotion by the World Health Organization (WHO) led to an endorsement of the World Day by the United Nations in 2005. We usually expect an increased number of car accidents during certain seasons – winter and the summer vacation period being two – but we’re coming up on another season in which roads can be hazardous . . . deer season. It’s a great feeling to be riding along country lanes and rural roads in the autumn, enjoying the cool air and colorful scenery. But about 45 percent of deer-vehicle collisions occur here during October and November. They also tend to happen most frequently near sunrise and sunset, because that’s when deer tend to be on the move. 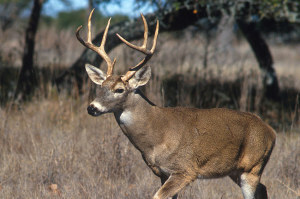 Drivers in South Carolina have a 1 in 93 chance of striking a deer during a 12-month period, according to research by State Farm Insurance Company. In fact, we’re in the top ten states for deer collisions, coming in at #10; our neighboring states of North Carolina and Georgia are #12 and #21, respectively. As we’ve reminded you several times (see this blog, and this one, and this), distracted driving is a major problem on our roads, causing the deaths of an estimated 15 people every day. And yet, news reports and statistics show that people continue to use their cellphones to stay constantly in touch, even while they’re behind the wheel of their vehicle. Awareness is not the issue . . . behavior is the issue. 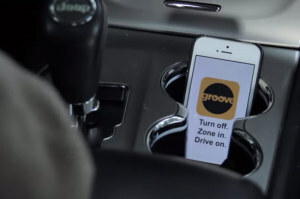 Obviously, it’s going to take more than verbal warnings to end texting and driving, and one Colorado-based tech company is doing just that. Want To Get A Teen’s Attention? Partner With A Rock Band. 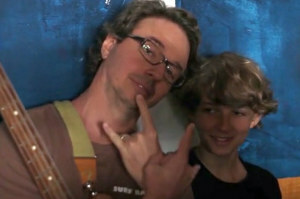 As you may know, my son and I have a shared interest in rock music and playing the guitar. There’s even a little video about it on the Louthian Law website. Would you allow your teenager to participate in an activity in which he or she has a one in 1,500 chance of dying? Those are the odds they face when behind the wheel of a car, according to one advocate for teen safety.